See auction listing for preview and pickup details. 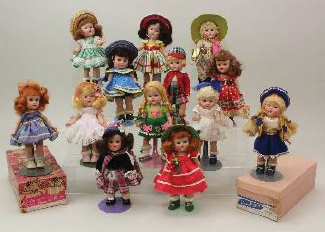 Poodle Cut, PL Strung & SLW, ML SLW & BKW; MIB Dolls & Clothing; Jill/Jan Dolls, Furniture & Clothing; Dolls – Muffie, Toni, Little Miss Revlon, Ginger. Clothing – Muffie, Little Miss Revlon, MIB Ginger, Accessories, Related Books. 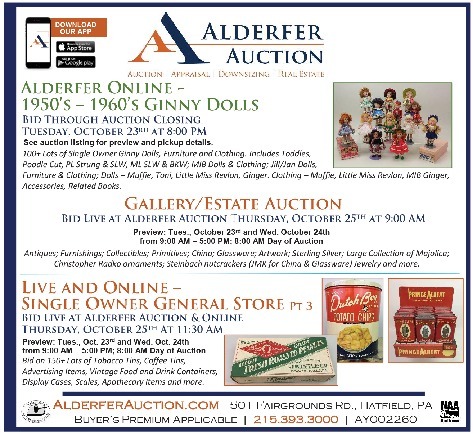 Antiques; Furnishings; Collectibles; Primitives; China; Glassware; Artwork; Sterling Silver; Large Collection of Majolica; Christopher Radko ornaments; Steinbach nutcrackers (JMK for China & Glassware) Jewelry and more. Display Cases, Scales, Apothecary Items and more.